Charlee: When I wrote this book, we were in the middle of moving to a new house and living with my husband's grandmother. Her home is on a lake and has a cottage feel that reminded me of one of my favorite childhood destinations, Cape Cod. It got me thinking about the location, and characters who might live there. Most of my books feature everyday heroes like members of the Armed Forces, firefighters, police officers, veterinarians, etc. Rad-Reader: Was it or will it be part of a series? Charlee: Yes! 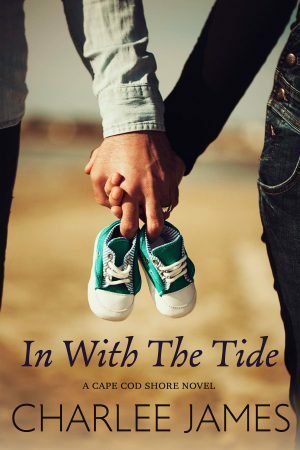 In With the Tide is the first book in the Cape Cod Shore series from Tule Publishing. Right now, I’m wrapping up the second installment. This story focuses on retired Marine Jason Hall and private investigator Alexandra Macintyre, two characters readers will become familiar with in the first novel. Together, they’re a force to be reckoned with as they travel down the east coast in search of Jay’s nephew, who’s been kidnapped by his recently paroled father. They’re both physically powerful and confident characters, but the road trip south tests their emotional stamina. They’ll find more than just Luke on their journey, and have to face their pasts to have a future together. 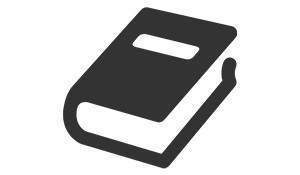 Rad-Reader: How do you decide when a book will be a standalone or a series etc.…? Charlee: I love reading series, and I also love writing them! It’s nice to get to know the characters in a series and anticipate the stories that follow the first. You find yourself rooting for the characters because you’ve come to know them so well. Rad-Reader: Tell us about Lindsey as a person? Charlee: Lindsey is a compassionate artist and soon-to-be new mother. She's a strong person, even though she feels insecure after divorcing her controlling husband. Through the book, she rediscovers herself and her strength as an individual. Rad-Reader: How does Damien fit into her life and what’s he like from before and now? Charlee: Damien and Lindsey reconnect when they both return home to Chatham. Lindsey's there to set down roots, and Damien is there to pull them up, more than ready to put the past behind him. Old feelings and new circumstances have them creating a mutually beneficial pact. Damien's no longer the troubled youth who enlisted after graduating high school. He's grown up, and he's ready to win Lindsey's heart. Rad-Reader: Why does Lindsey not want to stay with her parents? Especially since they are away? Charlee: After Lindsey’s divorce, it’s important for her to take a stand and make her own way. She purchases a cottage and is determined to give her child a beautiful life. Rad-Reader: Why did Damien get so weird after the kiss when they were younger? Charlee: Damien grew up in an abusive household, with a father who struggled with addiction. It took him many years of self-discovery to determine he wasn’t like his parents. He didn’t want to tangle Lindsey up in his problems any more than she already was. Rad-Reader: Lindsey seems to still have feelings for him did she then too? Charlee: When Lindsey was young, she had a serious crush on Damien—one that was reciprocated but never spoken of. Who doesn't love a bad boy with a hero's heart? Rad-Reader: Did she have her ex-sign off on the baby during the divorce? Charlee: Lindsey has full custody of the baby—one thing she actually got out of the divorce. Rad-Reader: What line in of work were she and her ex in? Charlee: Lindsey was an accountant before becoming pregnant, and Matthew was a c-suite executive. Rad-Reader: In going back to settle his dad’s estate Damien found answers to questions he didn’t know he had still been asking. Was it a way for his father to make amend or was it away for his father to soothe himself at the time it happened and keeping it safe in the safe? Charlee: I like to think that part of Damien’s father cared for his son, and tucked a few special things away in the safe with mixed emotions of pain, regret, and guilt. Rad-Reader: Damien seemed to jump to conclusions about his sibling and about his mom loving the baby more when really the baby was an innocent victim who had no say like him. His mom— Isn’t she’s the one who left pregnant taking away all the rights of the baby just like his rights were taken away? Charlee: Damien's knee-jerk reaction is, pain. He's worked hard to come to terms with his mother leaving, and the last thing he wants is to face his mother or a sibling who could be just as awful as his parents were. Rad-Reader: Jay seems like a very kind guy what’s his story? Will he find someone to love? Charlee: Jay is a character who’s so easy to fall in love with. He’s a hot Military hero with a funny streak, and a positive outlook despite his injuries. I’m so excited to share the second book in the series, which highlights Jay and Alex. Rad-Reader: Matthew is a jackass! Does he get his? Charlee: He sure is! Matthew only cares about materialistic things. I think he’ll go home and lead a shell of a life, not really finding true happiness. Rad-Reader: Was Lindsey ever going to put her foot down about Damien walking away after every discussion he didn’t like? Charlee: Lindsey's very patient with Damien, isn't she? She has an intimate awareness of how he copes with things, and sometimes that means letting him blow off some steam and revisiting issues later on. When she meets up with Damien and wants him so badly she can feel it. When he meets up with Lindsy again. He knows even pregnant he still wants her. When Damien thought Lindsey betrayed him. When Damien comes back after going to Boston. Charlee: "Follow You Down - Gin Blossoms"
Rad-Reader: What are your favorite book of all time? Charlee: I have so many favorites, and it's hard to choose. I love anything by Nora Roberts, Dan Brown, and George R. R. Martin. Charlee: I've always enjoyed writing stories, but it wasn't until a few years after I graduated college that I knew I wanted to write romance. Rad-Reader: When did you publish your very first book? Charlee: This year! My debut novel was The Bookworm and The Beast from Entangled Publishing. It's a holiday romance with a fairy tale flavor. Rad-Reader: What is the best advice you give to the young Charlee if you could go back to the teen you and talk to her? Charlee: Don't be concerned with what other people think. Just do your own thing. Rad-Reader: Who has been your biggest cheerleader in your writing process? Charlee: My parents, husband, and writing coach. 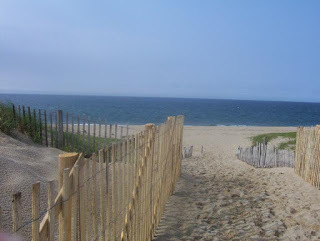 Charlee: I'm working on a few projects simultaneously, with a focus on the second book in the Cape Cod Shore series. Hopefully to be released later this year! Kobo, iBooks, and Google Play. The Bookworm and The Beast can also be purchased at Barnes & Noble online. I would like to thank you for being with us. You have to be one of a choice few that sent your acceptance with all of your items and all I had to do was send you the question to you and the date you would be with us. That was fantastic! So, thank you. You are now a part of our crazy family. You are a 1 Rad-Reader Misfit. 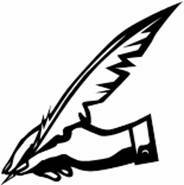 So, please know that you can come back anytime and use the Shout Out: An Author’s Place page to let us know when you have a new book coming out.